I found a tattered copy of The Pink Palace: Behind the Doors of The Beverly Hills Hotel by Sandra Lee Stuart on Ebay one night and just knew it had to be in my beach bag come vacation time. I'm enjoying the history behind this gorgeous iconic landmark and while my toes are resting in sugar-white sand, I'm dreaming of a red carpet getaway that's overflowing with tantalizing tales of the social elite. The stories that lie between these walls are truly amazing and after 100 years, would we expect anything less? The hotel actually just celebrated their 100th anniversary earlier this year, complete with synchronized swimmers wearing the happiest shade of pink of course! 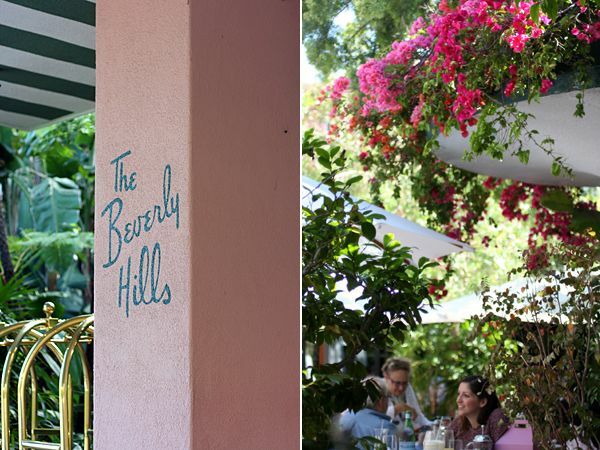 True style stands the test of time and certainly The Beverly Hills is a shining example. 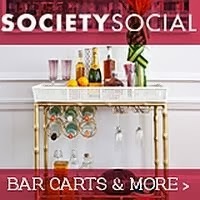 Right now, I'm reading about it's survival during the depression and looking forward to lots of juicy details regarding the affairs of Marilyn Monroe, Clark Gable, Frank Sinatra, Howard Hughes and such. 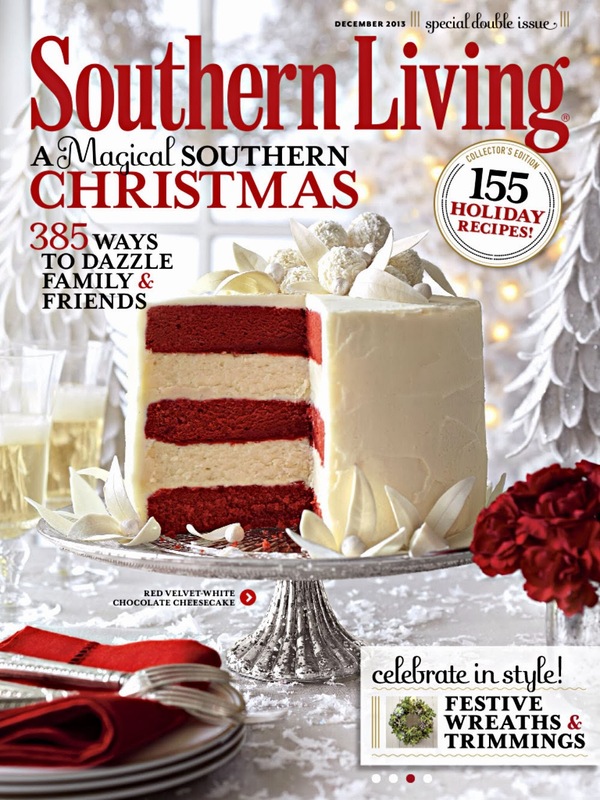 I won't give away details in case you want to read for yourself. One thing's for sure, I think I may have to go see all the pink and green goodness for myself one day! 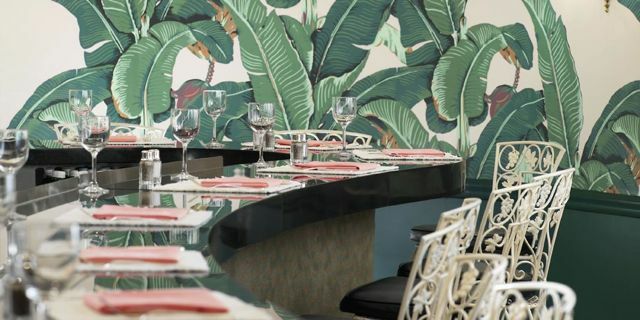 Like the infamous banana leaf wallpaper/fabric which can be ordered for a small price from Beverly Hills Wallpaper. At one point the management of the hotel posted the decorators information in the ladies room because women were repeatedly peeling off small samples to take home with them. Vertical gardens on pink stucco...simply divine. Cabana boy and a mimosa...yes please! 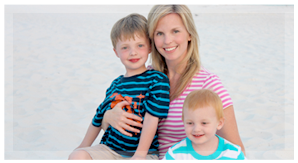 Green and white striped lounge chairs with a gorgeous pink backdrop. 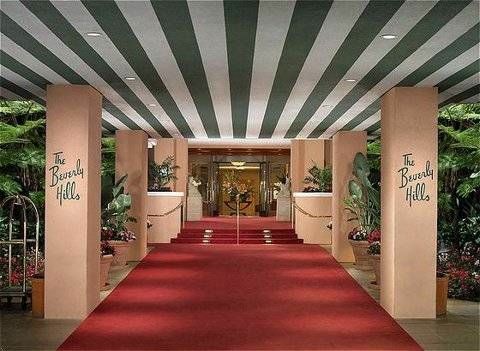 Until I get there, I have The Beverly Hills Hotel and Bungalows: The First 100 Years celebration book on order. 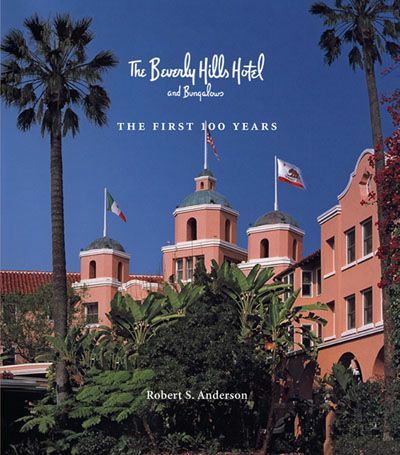 It's written by the official historian of The Beverly Hills Hotel and great-grandson of the original owner, Margaret Anderson. 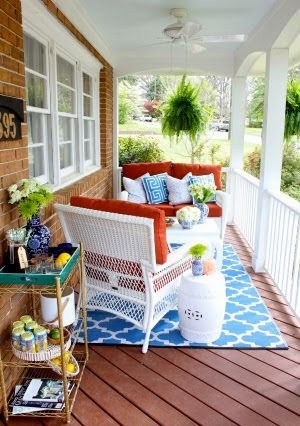 I can't think of a better way to dress a coffee table or "get away" for a few hours! 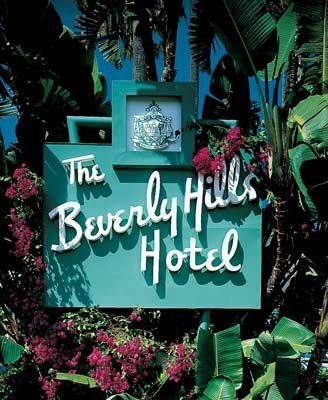 Have any of you had the pleasure of staying at The Beverly Hills? If so, I'd love to hear your review on The Pink Palace. I've never been there but I think the books sounds awesome. I love historical books that draw me in and make me feel like I'm there (or wish I was).